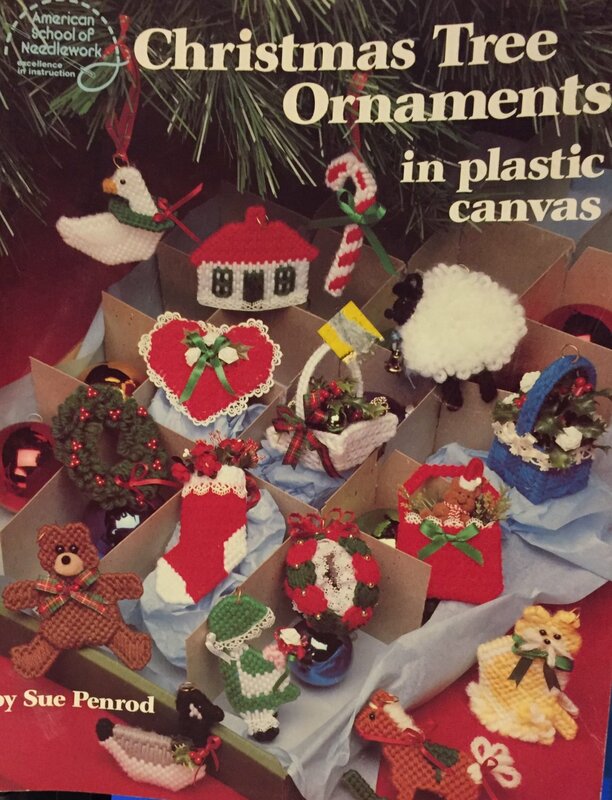 Christmas Tree Ornaments in Plastic Canvas booklet 3054 has patterns for pretty 3 dimensional ornaments. Designed by Sue Penrod. Also uses 7 mesh plastic canvas.